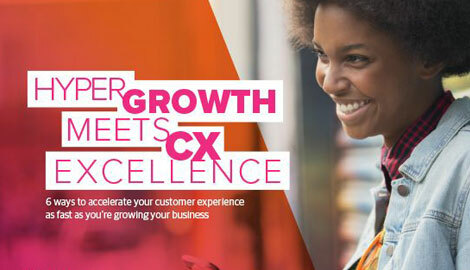 Investing in the customer experience while neglecting one’s employees is like building a house with a grand exterior that lacks inside plumbing, heating, and electricity. Sure, the house looks impressive and may attract a buyer, but can it support inhabitants for the long term? Delivering an exceptional customer experience requires providing both customers and employees the right support every time. Employees must also be motivated, culturally-aligned, and equipped with the right mindset and skillset to deliver excellent customer experiences at every interaction. If this seems daunting, have no fear. I’ll explain how learning and performance strategies can help build a workforce that is competent, collaborative, and connected. To keep up with today’s customer expectations, companies must empower their employees with the right training and resources to stay competitive. And sometimes, it means convincing key stakeholders that what worked before is no longer effective. Case in point: A multinational retailer wanted a way to continuously improve the ability of its associates to respond quickly and accurately to customers. TTEC was engaged to design and deliver a solution that would increase speed-to-performance for trainees, as well as provide more insight into training effectiveness and individual employee growth. Our solution was a holistic blend of interactive technology and custom content, designed around the client’s core operational metrics. Learners listened to call scenarios, mapped the process, and used social learning tools to comment on the quality of instruction in real-time. Feedback from the learners helped the company refine the training to maximize the positive impacts to the customer experience. Role-playing scenarios were monitored, recorded and evaluated, and personalized coaching sessions gave one-on-one guidance about the previous day’s performance. A cloud-based call routing system helped us evaluate learners and feed customer experience data back into the Learning Management System (LMS). This approach created a constant refinement and communication loop that improved curricula – which in turn improved the performance of learners. Results were tied back into our LearnPoint system, a reporting tool for management teams that tracks individual employee data from pre-hire through training to production performance and assessment. Implementing this solution required a close collaboration between the retailer and our team, and it paid off when the customer experience improved in both directions. Average handle time went down 17.6 percent, and customer satisfaction went up 32.6 percent. What’s more, the solution was recognized by the Brandon Hall group with a Gold service award for “Best Use of Blended Learning,” and a Silver award for overall results. In addition to customer expectations, rising digitalization and organizational challenges are prompting employers to upskill and reskill employees as quickly and effectively as possible. In fact, 86 percent of business leaders think employee development is critical for driving business outcomes and companies spend an average of $1,200 per employee on training each year, according to Gartner. 1. Get a vision in place – Before launching the initiative, assess your needs. What program or strategies are you using right now? What aspect of the existing employee development works and what doesn’t work? What would success look like? 2. Personalize the learning experience – People learn in different ways, and so look for curricula and tools that can be customized to fit your employees’ learning preferences. 3. Find the right balance – A deep understanding of employee workflow and other responsibilities is essential to ensure the learning program fits into the employees’ daily flow and causes minimal disruption. Or consider training smaller employee segments at a time. 4. Measure what matters – Home in on the success metrics that deliver the impact you’re looking for. Providing a fact-based business case based on quantitative insights is also important for future efforts and helps drive senior leadership buy-in. Improving employee performance is not new—but the impetus for it is quickly accelerating. The business landscape and relations between workers and enterprises are changing rapidly, with more changes on the horizon. And the companies that get their houses in order by optimizing employee learning and performance along with other priorities, will benefit the most.